Messy bun crochet hat patterns have gone viral in the past few days. Have you seen the craze? Having three little girls in the house, I can totally see why a mom would want something to keep a kid’s hair up and out of the way. These hats are cute and fashionable and would make a great gift for the girls in your life. At first, I wasn’t sold on the concept, but after wearing one, I can totally see where the craze has come from! The friend who modeled for me agreed… once she wore it, styled her hair, and embellished the hat, she was way more convinced that having your bun sticking out the back of your hat was a good idea. Check out these Crochet Hat Patterns! 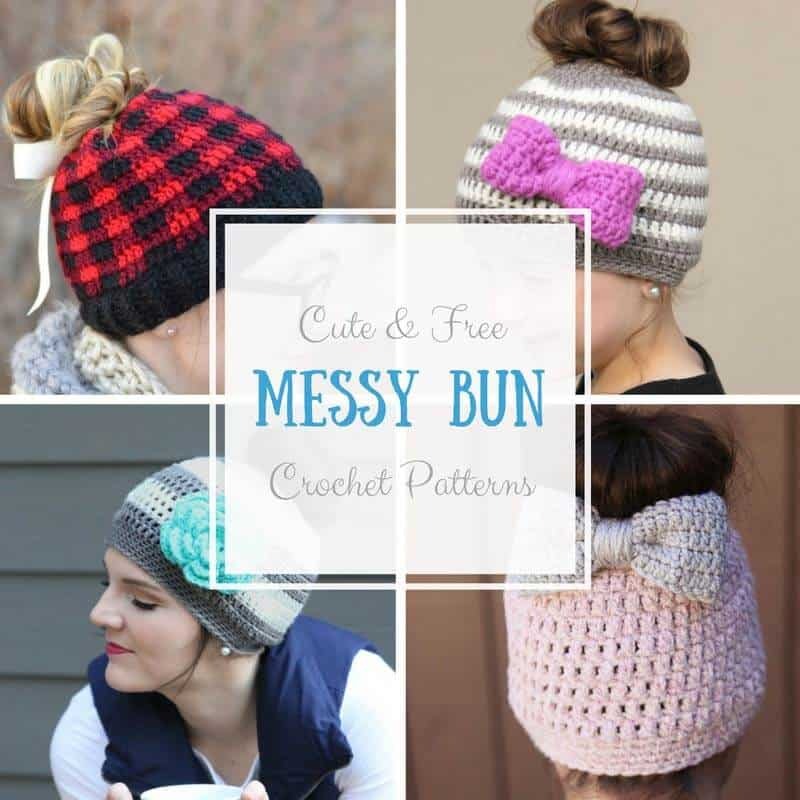 Easy Messy Bun Hat Crochet Pattern from yours truly. Simplicity Messy Bun Hat from Craft Coalition. This and That Messy Bun Hat from Craft Coalition. Plaid Messy Bun Hat from Whistle & Ivy. Want to embellish your messy bun? This large flower crochet pattern is just the thing! 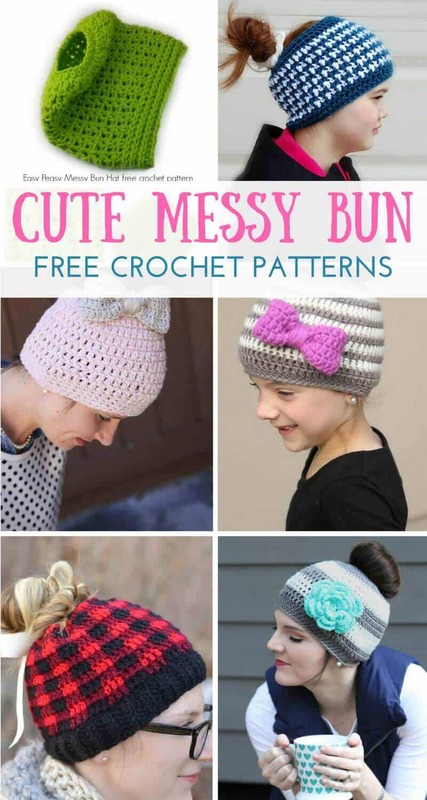 I’ll be adding more free messy bun crochet hat patterns as I find them. If you have a favorite, leave it in the comments down below and I’ll add it. Thank you for sharing our hats from CraftCoalition.com and simplycollectiblecrochet.com! You rock, Lauren! My daughters would love these hats!